Made with just two ingredients of L-lysine powder and cranberry powder, this powdered supplement was created to address a wide variety of ailments that cats and dogs suffer from every day. 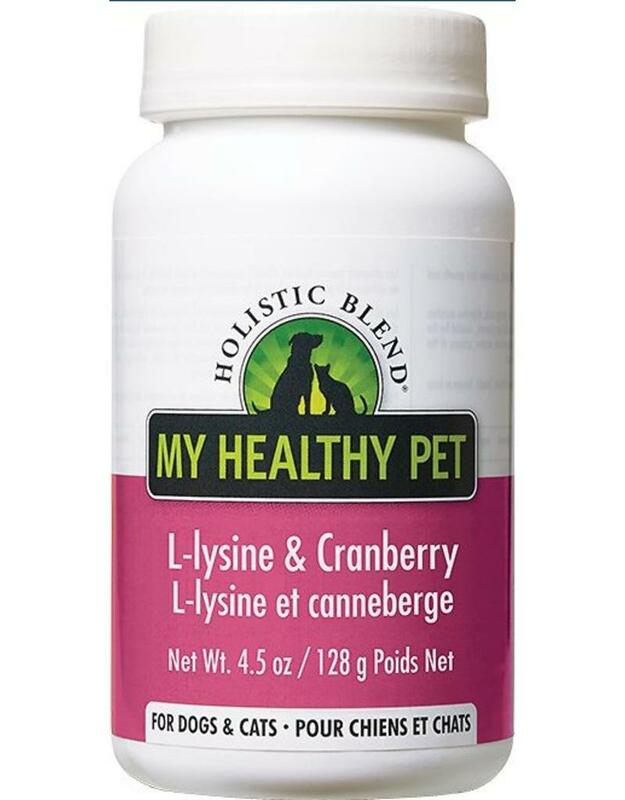 L-lysine is a simple amino acid that works as a protein building block, while cranberry is high in antioxidants and proven to reduce urinary tract infections and prevent crystals. Together, these two components can help alleviate everything from allergy symptoms like sneezing and sinus congestion to feline herpes symptoms like lethargy and conjunctivitis. Ingredients: L-Lysine Powder, Cranberry Powder.